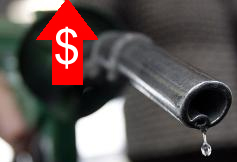 Malaysia’s fuel price will be increase from (1st February 2017) onwards with a 20 cents hike for RON95 and RON97 which brings the retail price to RM2.30 per litre and RM2.60 per litre respectively. If this up trend continue, will we see a hit at RM3 per liter later of this year? Diesel will be priced at RM2.15 per litre (from RM2.05). Euro 5 diesel at RM2.25 per litre (up 10 sen). Petron RON 100 will be priced at RM3.05 per litre (up 10 sen). The Malaysia government has been practising this managed float mechanism since December 2014.